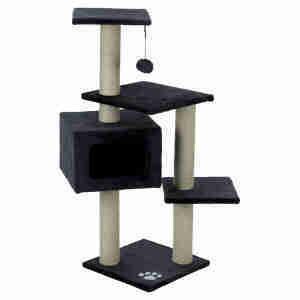 Providing play, exploration and a sleep spot, this multi-level scratcher has everything your cat needs. The cave provides an enclosed place to nap, whilst the sisal posts help them relieve the need to sharpen their claws without damaging any furniture. The platforms can be used to jump to the top or to survey their surroundings. If your cat does venture to the top, they are met with a soft ball to bat at and play with. The solid wooden base keeps this post from rocking whilst your cat explores and the plush cover on the bases means every part of the tree feels soft under your cat’s paws. Toy on a string for extra play opportunities. 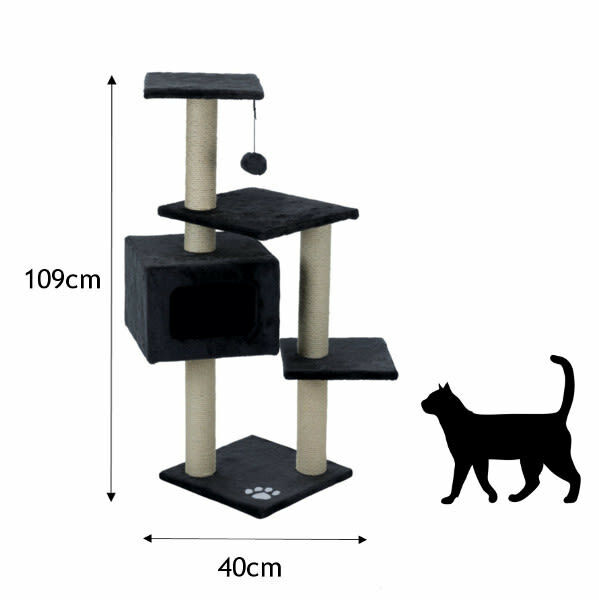 The scratching post is 109cm high with the base board measuring 39 x 39 cm. Each post has a diameter of 9cm.